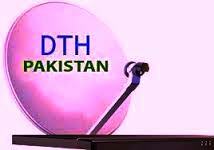 Direct to home TV service, DTH service in Pakistan. Perma will issue licenses to start dth service in Pakistan by using KU band TV capacity of Paksat 1R. PEMRA to issue licenses to 3 direct to home TV service providers, DTH by Auction on December 7. Pakistan Electronic Media Regulatory Authority (PEMRA) received 10 applications from potential Television service providers for the three direct to to home (DTH) service through open tender on December 7, 2015 to grant licenses to start DTH service in Pakistan by using Paksat 1R KU band TV capacity . A PEMRA official APP said on Monday that November 6th was the last date for the submission of applications and afterward candidates are short listed/pre-qualified on the basis of the above eligibility criteria. Shortlisted candidates will be invited on December 7 to issue licenses after all the legal requirements. They need to pay all the bidded amount to obtain the approval, said PEMRA tender/auction. The PEMRA official said he hopes that the successful launch of DTH services in Pakistan will lead to millions of dollars of investment in the country with the creation of thousands of direct and indirect jobs. The availability of the right DTH platform in Pakistan, he said, will also help curb the proliferation of illegal Indian DTH in Pakistan, resulting in the loss of billions of rupees to the nation. The launch of Pakistan dth service is a step forward to meet the leadership of the International Telecommunication Union (ITU) for the digitization of the media and marketing services. It is also an opportunity for the satellite operator in Pakistan to use their KU band spare capacity of Paksat 1R for DTH services.